The team at Dryden Enterprises and Dryden Properties is proud to serve the communities that call the Coastal Empire their home. Since 1983 it has been our mission to build homes our clients love. Founder Claude Dryden came to Hinesville, Georgia as a temporary move with an agricultural bank, but would soon call the town home. Dryden established his home construction company building starter homes for young families with a large part of his clientele being members of the military. His first development, Forest Lake Estates, is still a thriving neighborhood today. Many years later, the business has grown seeing dozens of neighborhood developments and has expanded to incorporate apartment communities. The military family plays a vital role throughout our community in the Coastal Empire in addition to the tremendous work they do overseas. We are proud to work with these families as a VA approved builder, and in providing military friendly rental opportunities. Whether your family is looking to call southeast Georgia your forever home or you’re in need of a temporary solution to your housing needs, we strive to provide not only a comfortable and attractive living environment but also an affordable one. Explore the homes & rental communities offered by Dryden Enterprises & Dryden Properties and find the best place for your family. View more new construction listings! Dryden Enterprises builds quality homes in a wide range of sizes and prices. We have over 50 floorplans to suit the needs of any family, from a large five-bedroom home to a plan perfect for downsizing. Each and every home we build is accompanied with a 2-10 Quality Builders Warranty that covers many structural aspects of your home and a warranty team that you can count on. Our team is committed to providing you & your family with the best possible experience during the home buying process and after. 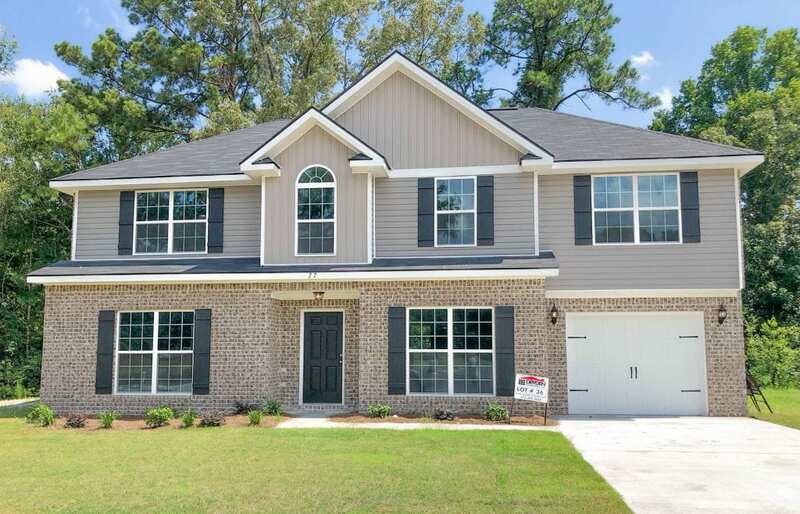 Dryden Properties is proud to offer four well maintained rental communities in Hinesville at various price points and sizes. Our apartments are kept to a standard unmatched in the area, you will never enter a rental our team wouldn’t live in themselves. If we won’t live in it- neither will you! All rental communities are within close proximity to Fort Stewart, offering military housing with a convenient commute. For a lot of us, purchasing a home is the most important purchase you’ll ever make. We do our research, decide what we want, make pro & con lists and then we search and search and search. It’s an important purchase because it is the place we’ll retreat to at the end of long day at the office, where we’ll gather to share our meals and it’s the place our children will play and make lasting memories. Our home is our happy place. Read more.